You could keep reading this post. Or you could pop open a new browser window and try playing late-80s Zelda II: The Adventure of Link as a first-person-shooter. This wonderful little late-May creation that I somehow missed puts a player in the head of Zelda hero Link in what may be the worst non-spin-off Zelda game, but so what? The creator calls the game, simply, Zelda II FPS. Imagine shooting some Zelda-style sword-bullets out of a sword you can see down your line of sight. 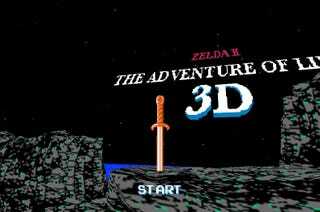 Give the game a shot at the link below, which enable you to play Zelda II FPS in your web browser. Decide for yourself whether the classic second Nintendo Entertainment System Zelda just needed a little more Doom.